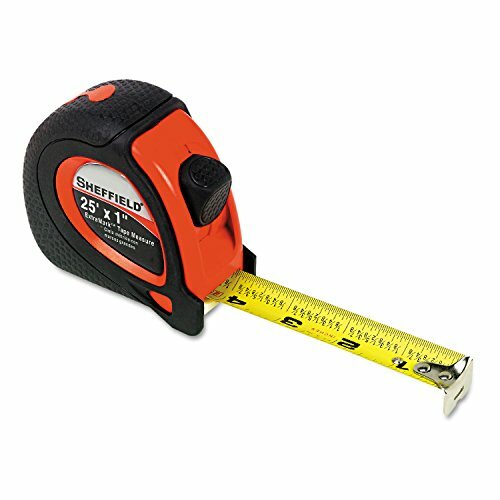 Make fast work of measuring with this handy tape measure that features large, easy-to-read markings for quick and accurate measurement. Positive lock holds blade securely in place. Convenient belt/pocket clip keeps tape measure at hand. Ergonomic rubber grip handle with Sheffield Oval-Grip pattern. Yellow steel blade. Make quick work of measuring with large, easy-to-read markings for quick and accurate measurement. Positive lock holds blade securely. Publisher: GREAT NECK SAW MFG. Studio: GREAT NECK SAW MFG. If you have any questions about this product by Great Neck, contact us by completing and submitting the form below. If you are looking for a specif part number, please include it with your message.